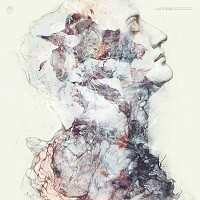 There’s a certain amount of trepidation with approaching anything marked with the genre mashup of ‘sludge/post-metal’. 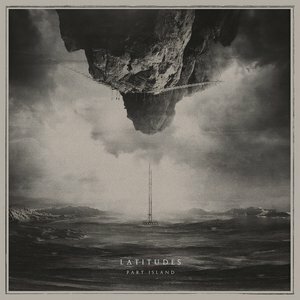 Rather than kick things off here with an intrinsically negative tone, suffice it to say Latitudes and their newest offering Part Island completely sidesteps the majority of the pitfalls that tend to be assorted with this genre (which for those concerned is firmly in the post world, no essence of the American South to be found). Six songs in a lean 43 minutes and change and within them a great deal of dynamics and fluid motion, both from song to song and individually. Part Island also appears to be the first time the band has employed a full-time vocalist, having in the past been predominantly instrumental act. It works well, the vocals tending to float over the storms beneath, never interfering. This likely isn’t an accident as all of the songs here would function just as well as pure instrumentals. Opener “Underlie” and midpoint “Fallowness” each have a stronger vocal rooting but the overall employment here remains the same throughout: the vocals provide an additional (and surprisingly strong) emotional heft. Bonus points in that they’re all clean, no screams, growls, or unpleasant gurgles otherwise are anywhere to be found. Musically post is the word. There are ups, downs, and building crescendos linking them all together. Fortunately the transitions from point to point come heavy and often, “The Great Past” is a tremendous journey, one melodic movement after another cascading through. Closer “Part Island” works very well because it is the one time the band chooses to avoid the elements they avoid elsewhere on the album: it stretches out (over ten minutes), it’s unapologetically metallic (…sometimes), and while present the vocals unquestionably take a back seat. It is to the band’s credit that in indulging all of the above within this track they retain a focus that is unwavering, there is a chase for something unattainable that runs throughout “Part Island” and it is a spectacular way to close the album out. While largely a pastoral experience, Part Island is radiant for exactly that. It’s a difficult balance to pull off, the ideas best fit for the gradual employed out in quicker scales. It’s pleasant, for lack of a better term and easy to sink in to. It’s a grower too so I expect to come back to it time and time again as this year rolls on. A welcome surprise.